Master the latest marketing tools and trends Marketing strategies are evolving faster than ever before, and mastering the latest and greatest strategies are essential to getting results. This updated edition of the classic marketing bestseller includes new and revised material, with full coverage of the latest marketing trends and how to effectively apply them to your business. Whether it's boosting your baseline marketing skills, figuring out social media, developing a comprehensive Internet marketing strategy, or getting expert tips on effective local marketing techniques, Marketing for Dummies, 4th Edition has everything you need in one easy-to-use and accessible guide. Effective marketing is about knowing your customers and giving them what they want, when they want it. The latest marketing research tells us that every customer interaction is an opportunity to grow your business and your bottom line, which is why you need a results-oriented marketing plan. 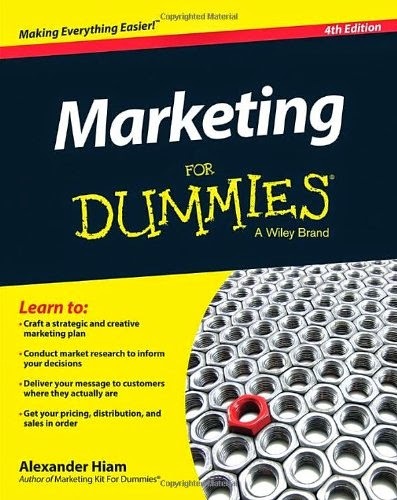 With this updated, practical, and savvy guide to marketing strategies that work, you can apply the skills you already have more efficiently than ever before Marketing For Dummies, 4th Edition gives you the structure and practical advice you need to get the most out of every marketing initiative and, ultimately, grow your business. Maximize the lifetime value of your customers Connect web marketing strategies to real world traffic and sales Implement local sourcing to boost local and regional marketing initiatives Focus your online marketing strategy to target only qualified buyers Before you waste any more time with ineffective and potentially costly marketing missteps, let Marketing For Dummies, 4th Edition establish viable marketing strategies that will help your business succeed.